Canada, meet your new favourite grape. If you’ve followed this blog for any length of time, you’ll be aware of my completely transparent devotion for Riesling, the top wine grape of all in my books and the star of the show in my favourite white-producing country, Germany. It’s also a varietal that is starting to be developed more seriously in the major wine regions of my home nation of Canada, both in the Okanagan Valley in the west side of the country and the Niagara Peninsula in the east. This comes as a huge relief to me: we’re definitely still a country trying to find its identity wine-wise, and thanks to our climate and latitude it will always be a steep challenge for us to produce big reds in all but the most privileged sites, so one way to get recognition as a serious wine nation in an increasingly competitive market is to focus our energy and resources into developing the absolute best quality wine grapes that thrive in cooler, more marginal conditions. That’s where Riesling comes in. It creates some of the best, longest-lived wines in the world, but it also embraces sites at extreme wine-growing latitudes with colder average temperatures and shorter growing seasons…in fact, it reaches its apex in these types of locations. I think Canada and Riesling are a vinous match made in heaven, so it was with great anticipation that I cracked this bottle, sent to me by one of BC’s largest producers, Mission Hill. 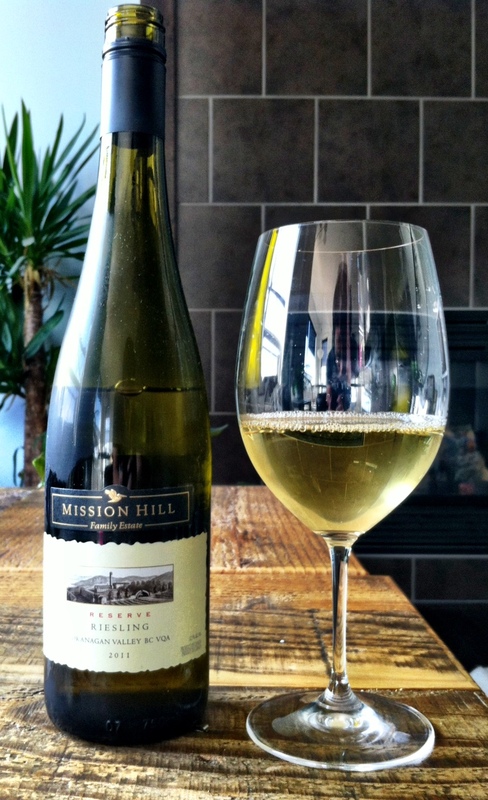 The 2011 Mission Hill Reserve Riesling was just released to the market, as the grapes that went into it were just picked 9 months ago. The 2011 vintage was known for some of the latest harvest dates on record in the Okanagan, with a cool spring giving way to warm weather in late summer/fall that helped extend the grapes’ ripening period. The word “Reserve” on this label has no legal meaning in Canada, so it doesn’t mean anything in particular about the wine inside the bottle; in this case, it just reflects one of the four tiers of wine that Mission Hill makes. MH’s baseline bottles are its Five Vineyards wines, followed by (in ascending order of quality) the Reserve collection, the Select Lot Collection, and the Legacy Series. 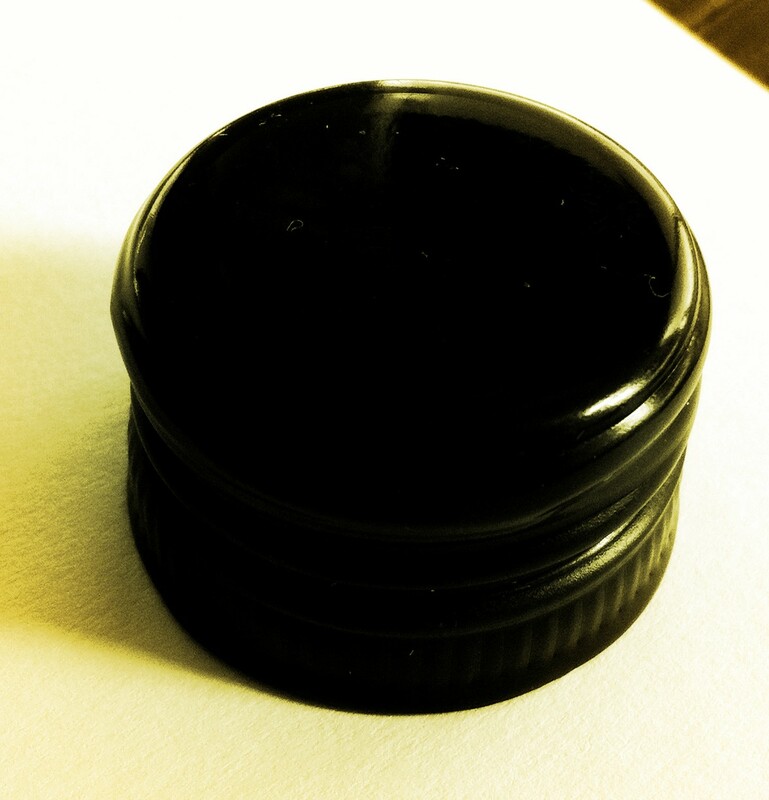 The Reserve wines by Mission Hill are geared towards the value wine market, with retail prices hovering just under $20. This bottle of Reserve Riesling is made from grapes sourced from all over the Okanagan, specifically the Kelowna, Naramata and Oliver sub-regions; Kelowna is quite cool for wine-growing purposes, while Oliver is essentially a desert, so this is certainly a blend of multiple different terroirs. The Riesling was a pale lemon colour in the glass, without the greenish tinge that I often see in young Rieslings. However, its nose was unmistakably Riesling, with green apple and lime leading the charge, mixed with a surprising whiff of plum and a more familiar touch of rubber. Riesling’s classic mineral/wet pavement aromas were also present, but they were understated, lurking well in the background. Light-bodied (almost water weight) on the palate, the MH Reserve balanced potent (literally mouthwatering) acidity with a touch of residual sweetness, creating that play of sweet and sour that to me is the hallmark and best expression of this grape. The wine’s fruit was softer to taste than to smell, leaning more towards peach and melon, stone fruits instead of citrus, which shared the stage with notes of white flowers and bath salts, all culminating in a briny, slightly bitter, chalky finish that propelled the wine’s mineral notes into the forefront and kept them there long after I swallowed. There is no question that this grape can sing in Canadian soil, and I’m impressed to see a major winery in a region with expensive input and production costs create a varietally-correct bottle of Riesling in the sub-$20 price range. Currently the Reserve is Mission Hill’s top-level Riesling, but if they ever see fit to put together a single-vineyard Select Lot Collection version of the grape, I’ll be lining up to try it. Spread the gospel, Riesling lovers!